Geneva: A short ice age which preceded the global climate warming may have caused one of the greatest mass extinctions on our planet about 250 million years ago, a new study suggests. 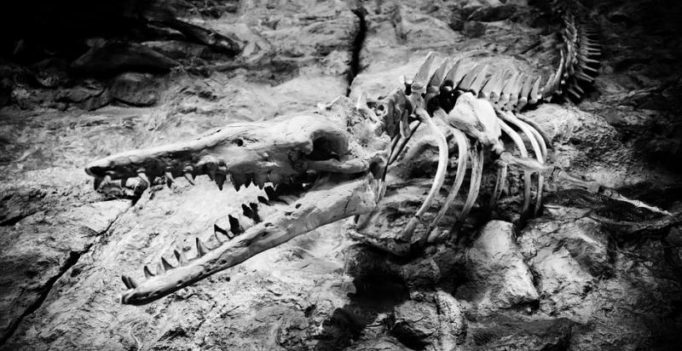 Earth has known several mass extinctions over the course of its history. One of the most important happened at the Permian-Triassic boundary. Over 95 per cent of marine species disappeared and, up until now, scientists have linked this extinction to a significant rise in Earth temperatures. However, researchers from the University of Geneva (UNIGE) in Switzerland, working alongside the University of Zurich, discovered that this extinction took place during a short ice age which preceded the global climate warming. It is the first time that the various stages of a mass extinction have been accurately understood and that scientists have been able to assess the major role played by volcanic explosions in these climate processes. boundary, 250 million years ago, during which one of the greatest mass extinctions ever took place, responsible for the loss of 95 per cent of marine species. They worked on sediment layers in the Nanpanjiang basin in southern China. “We made several cross-sections of hundreds of metres of basin sediments and we determined the exact positions of ash beds contained in these marine sediments,” said Bjorn Baresel from the University of Zurich. They then applied a precise dating technique based on natural radioactive decay of uranium. “In the sedimentary cross-sections, we found layers of volcanic ash containing the mineral zircon which incorporates uranium. It has the specificity of decaying into lead over time at a well-known speed,” said Professor Urs Schaltegger from UNIGE. “This is why, by measuring the concentrations of uranium and lead, it was possible for us to date a sediment layer to an accuracy of 35,000 years, which is already fairly precise for periods over 250 million years,” said Schaltegger. By dating the various sediment layers, researchers realised that the mass extinction of the Permian-Triassic boundary is represented by a gap in sedimentation, which corresponds to a period when the sea-water level decreased. The only explanation to this phenomenon is that there was ice, which stored water, and that this ice age which lasted 80,000 years was sufficient to eliminate much of marine life. Scientists explain the global temperature drop by a stratospheric injection of large amounts of sulphur dioxide reducing the intensity of solar radiation reaching the surface of Earth. “We therefore have proof that the species disappeared during an ice age caused by the activity of the first volcanism in the Siberian Traps,” said Schaltegger.